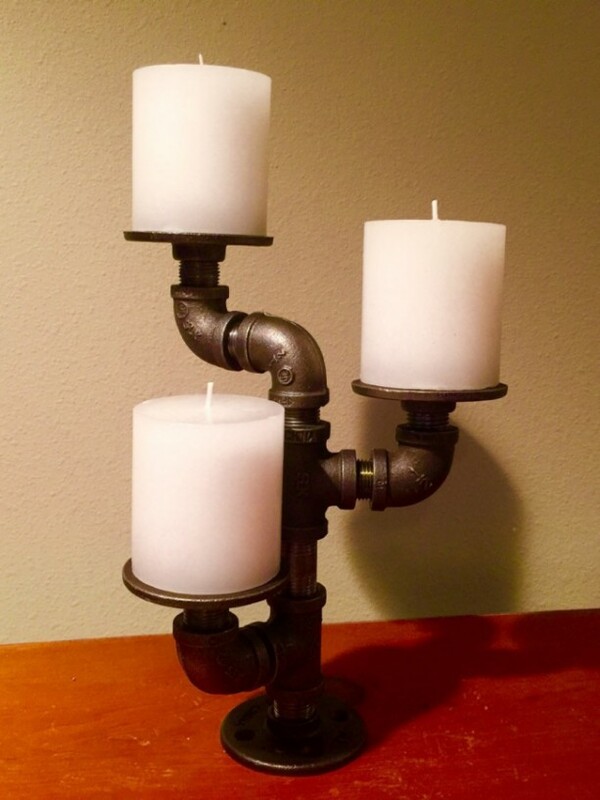 Industrial black pipe candle holder, CANDELABRA, Loft Style, Urban, Steampunk Decor !!SALE!! 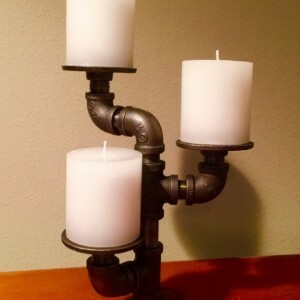 Industrial black pipe candle holder. Candles shown are not included with purchase. Check out the 5 star review on this item. Use this fabulous handmade candelabra as a candle holder or as a decorative stand to create a gorgeous floral centerpiece arrangement. Place candles on this candelabra for warm ambiance and a stunning design! You won't be disappointed with the unique look of this beautiful design. Measures 10 1/2" tall (without candles) x 8 1/4" wide. Weighs approximately 5 pounds without candles.Please reference the Q & A section in my Etsy shop for instructions on cleaning and more details regarding the black pipe products sold in my store.